Update: Bookings for this course have now closed. Click here to find any Urban Farming Masterclass courses we have scheduled. 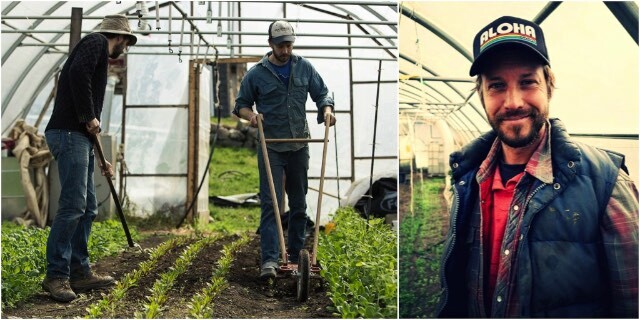 Join us for two days of learning with Jean-Martin Fortier + Curtis Stone – two world-class growers, working small-scale farms to produce outstanding food for their communities while making a profitable livelihood. 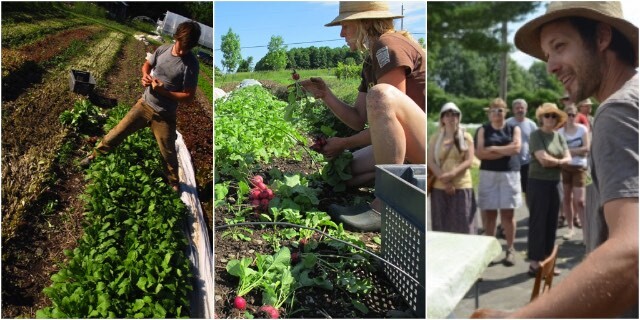 Over these two days you will learn the inner workings of how small-plot growing and urban microfarming can be a profitable enterprise while regenerating both land and your local food system. Both growers will share the design and workings of their individual enterprises – both the groundwork and the business – with insights and knowledge that has been hard won, and is ready for you to build and grow upon. The two one-day masterclasses can be booked individually or as a package. Through scrupulous planning, effective crop rotation, savvy marketing and downright excellent farming practices, Jean-Martin and his wife Maude-Helene have developed an effective growing system that draws on the french intensive tradition of small-plot organic urban farming, as well as biointensive practices. For the first time, Jean-Martin is coming to Australia to share his knowledge with future and established small-plot growers, to help increase our community’s food systems, and our small-plot growers livelihoods! Jean-Martin Fortier (JM) is a farmer, writer, and educator specializing in organic and biologically intensive cropping practices. 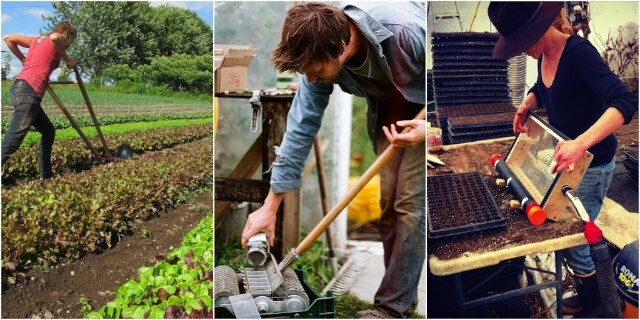 He is passionate about demonstrating how small farms can play an important role in the rebuild of the food system. 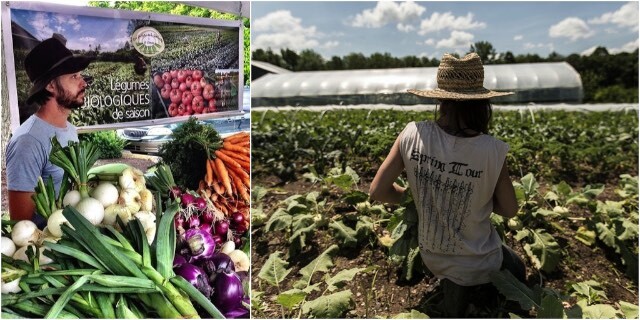 His internationally recognized 10-acre micro-farm in Quebec, Canada is a perfect example of this: At les Jardins de la Grelinette, only 1½ acres are cultivated in permanent beds, yet the farm gross more than $100 000 per acre with operating margins of about 60 per cent, enough to financially sustain his family. The focus at la Grelinette has been to grow better-not bigger- in order to optimize the cropping system, making it more lucrative and viable in the process. 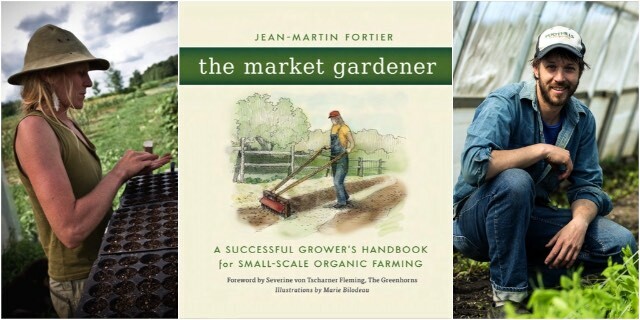 Jean-Martin’s acclaimed book, The Market Gardener, tells the story of how he and his wife, Maude-Hélène Desroches, started their farm and how they successfully operate it. In his work, JM places a strong emphasis on intelligent farm design, appropriate technologies and harnessing the power of soil biology as key components of successful farming. A storyteller who can weave the technical aspects of farming with anecdotes from his farm, JM has facilitated more than fifty workshops and conferences in Canada, Europe and the United States. Join us for a day exploring profitable, small-plot urban farming with Curtis Stone, farmer and founder of Green City Acres in Canada. 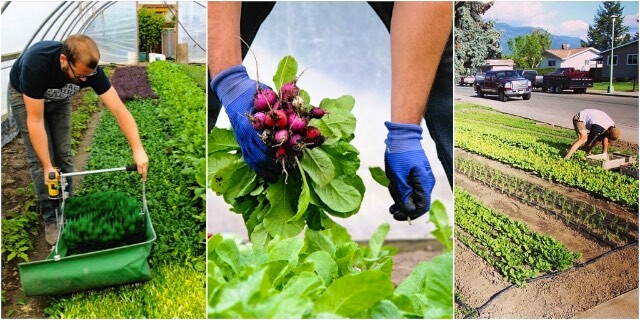 Utilising bikes as their main transport, Green City Acres farms multiple micro-sites within the city of Keylona, CA, producing chemical free food for a healthy restaurant and farmers market trade. 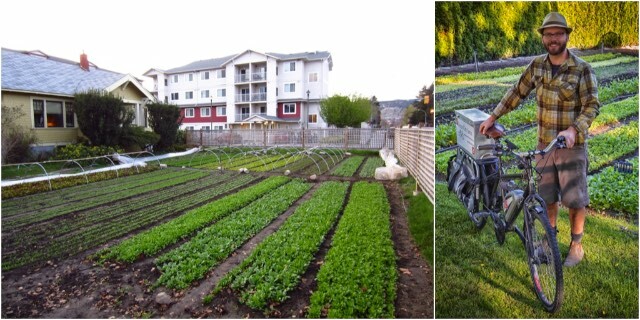 Since 2010, he has been successfully farming on multiple urban lots in the city’s downtown, and will demonstrate to you, that you can farm on very small plots of land without the debt burden of a mortgage or the high capital expenses of the usual infrastructure that most farms need. In this masterclass, you will learn about strategic production techniques that focus on high value crops with short growth cycles as well as specialized and niche market streams such as restaurants, and co-operative CSA’s. You will also learn how to use modern technology to better manage your business that will save you time and money. Curtis wants to show you how you can shave off two to three years of the mistakes he made, and get you off to a strong start now, making a great living doing something you love. With a little bit of money saved from a 6 month season of tree-planting, he had everything he needed to start a farm. After completing a successful and profitable first season in 2010, Curtis is a case study example that the SPIN farming model + techniques, that he has now expanded apon, are simple and easily transferable to anyone, including those who have no experience. Green City Acres (est. 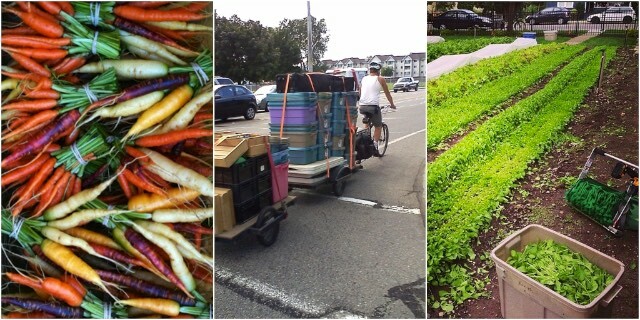 2010) is a multi-locational urban farm operating on less than an acre of land. They use front and backyards, rented from homeowners, to grow vegetables for local distribution. In exchange for the use of their land, their landowners receive a weekly basket of produce throughout the growing season. 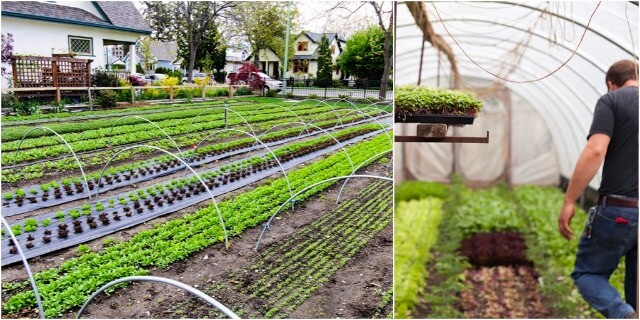 This mutually beneficial arrangement saves them the burden and cost of maintaining a lawn, while reducing their food costs and providing GCA with growing space. All their produce is grown with natural methods, meaning that no chemical fertilizers, sprays, or pesticides are used. In fact, they barely use any fossil fuels at all. Their operation is largely pedal powered, with the occasional use of a small flat bed truck that is as low emission and fuel efficient as a smart car. 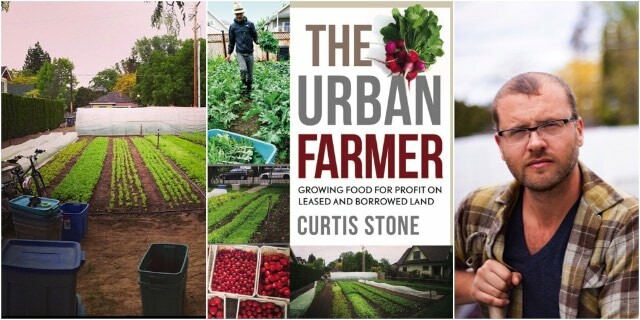 Curtis’s book, The Urban Farmer, will be released in November 2015. Your masterclasses include refreshments and lunch during the day. You’ll also receive a swag of online resources relating to your masterclasses. Each masterclass will run from 9am – 5pm each day. The venue is Giant Dwarf in Redfern – 5 minutes from Central station. Big thanks to Ooooby for helping us make this tour happen! If you’re in New Zealand, check out their various events with these same two fine farmers. You can secure your place for these masterclasses now with your credit card, or contact Trev in our office via the form below (scroll down) to arrange payment.